OFFICIAL PAGE FOR THE 2018 SWAP! 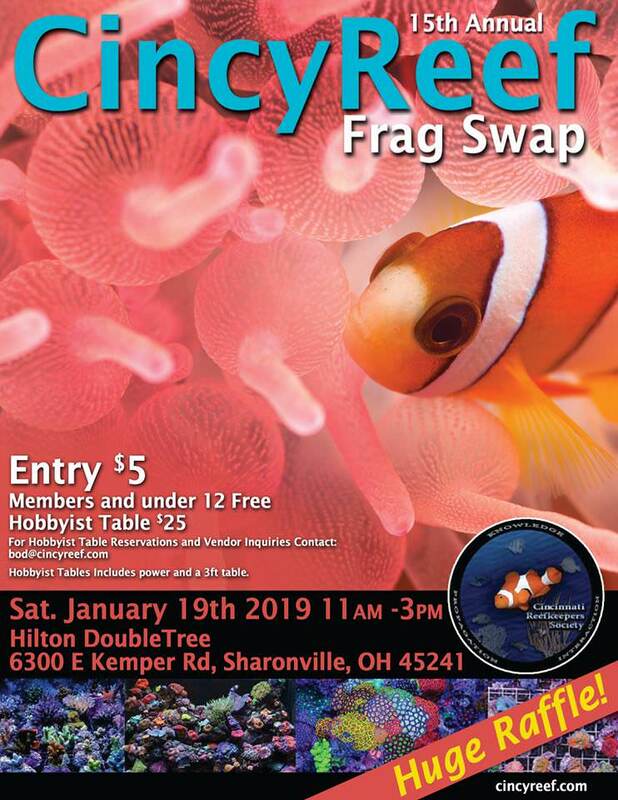 The BOD is proud to announce the upcoming 2018 frag swap! Please contact us for vendor inquiries and hobbyist tables. SAME LOCATION: 6300 E Kemper Road, Sharonville Ohio @ Hilton Doubletree Hotel! EARLY BIRD ADMISSION: Sold out! Last edited by Logzor; 01-18-2019 at 11:27 AM. 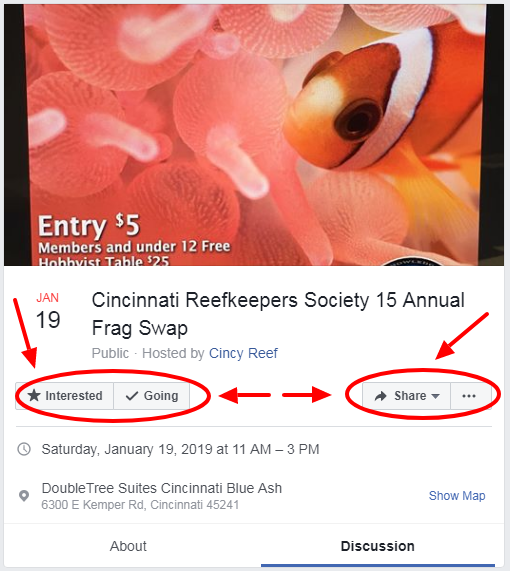 VERYONE Please Remember to Mark "Going" or "Interested" on the CINCY REEF Frag Swap (Cincinnati, Ohio) Facebook Event Page. 4. Admission is $5 (Club Members and Kids 12 and Under are FREE). Having the Exact Amount Helps Things Go Smoother at the Entrance.